Approximately 50 MIT students and OSM’ers from the Boston area participated in a 4 hour Mapathon on Sunday afternoon 10/8/2017. The event went off without a hitch. The facilities at the Dewey Library were fantastic. I was surprised that this event, organized just a couple of days ago was so well attended. The student organizers spread the word and the community responded. The organizers were pleased at the turnout and hope to hold more mapathons in the future. 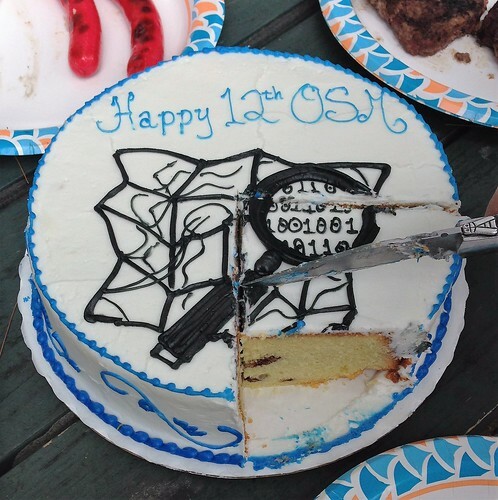 Today, Ruth and I attended the birthday party for OSM at Greeley Park in Nashua, New Hampshire USA. It’s always nice to see old friends and to attach names and faces to folks you recognize from diary entries, mailing lists and changeset comments. It’s amazing how fast a conversation can start when someone says “How do you…..? A 13 year old girl who’s made a website for the trails in her town using a tailored cartographic style. One of the “fathers” of the great MA imports. I’ll be checking the OSM Birthday wiki next year to see where the party will be. Many thanks to rozzin for organizing this event. Creating a New Diary Entry "Parsed by Markdown"
I’m trying to understand how to interpret the “Parsed by Markdown” table that appears next to the text “Body” in the OSM “New Diary Entry” form. A link is to be entered by using the format “Text”. Here you retain the brackets and parenthesis and replace the word “Text” with the name of the URL and letters “URL” with the actual web address. The last example for displaying an image is giving me trouble. The problem is that you need to use a URL for an image and the places I store photos like Flicker and Google Photos don’t allows you to copy the link to the image file. The format is “ ”. I’ve been tinkering with western section of Acadia National Park in Maine where I’ve often visited. This led me to the discover the NP Mapping page https://www.nps.gov/npmap/tools/park-tiles/improve/ which explains how their database and OSM interface. I now add the hash tag #parktiles to my changesets. I read that it was ok for me to adjust the border of the park which are sloppy. 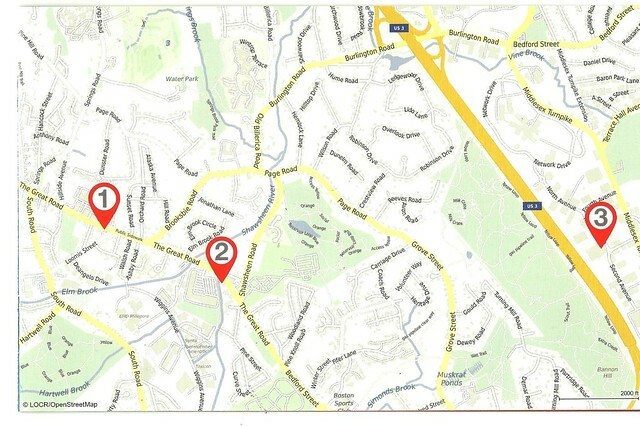 I started by aligning a segment of the shore line with Bing and used that segment http://www.openstreetmap.org/way/21793444 to replace the segment from the border relation http://www.openstreetmap.org/way/162904033. I set up routes for the trails so they now appear in Waymarked Trails http://hiking.waymarkedtrails.org/#routelist?map=13!44.3162!-68.3053. There’s still lot of work to do; in just this one section of the park there are 16 serious errors and 2,246 warnings according to the JOSM Validator. Many are due to old and duplicated imported data. Anyone want to help? I also found Chimani, https://www.chimani.com/ a free app based on OSM that works off-line and has the content of a good sized guide book. I’m an “addicted” JOSM armchair mapper. In the field, I use the iPhone camera and the Galileo GPS app to collect data for post processing in JOSM. Since January I have been visiting State & National Parks in the southeast USA where WIFI & cellular connections are unreliable. For some unknown reason, offline imagery stopped working on my PC after installing the latest version of JOSM. Stuck without an editor I decided to try Bryce Cogswell’s “Go Map! !” app. Now I am entering data directly into OSM, wherever and whenever I wish. Go Map!! let’s me work with Bing imagery offline. It’s really nice to see OSM data on top of satellite imagery as I’m entering new data in the field. The interface is intuitive and allows me to define presets that are not in the “Common Tags” list. My most recently used tags conveniently appear on the search screen. With GPS tracing turned on it’s easy to create a way as I hike a new trail. My favorite “overlay” highlights “Unnamed Roads” allowing me to add the name as I pass by. There are some nice features that are not explained in the documentation. I’d like to find a user discussion group or email list to learn more about this app. Thank you Bryce Cogswell for creating this excellent app. Did I mention that Go Map!! is free! Where do you swim in OSM? I want to identify where you can swim in a body of water. I’ve found two ways that are acceptable to the JOSM Validation routine. Create a beach polygon (natural=beach) and add (sport=swimming), I don’t think anyone swims in the sand. Create a polygon in the water (leisure=swimming_pool) and add (sport=swimming), I don’t think anyone builds a swimming_pool in the ocean. Of course you can swim in a pool of water. How do you identify where you can swim?